Even oval tracks can be full of destruction! 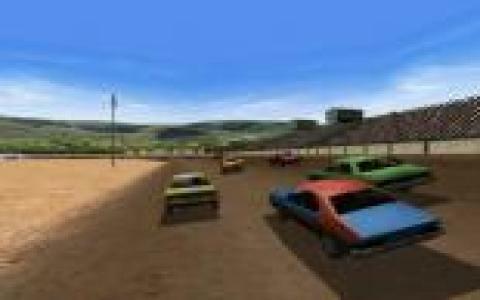 Dirt Track Racing is a first person racer game, whose main type of races are all about oval dirt tracks. In terms of types of races, you get pretty much destruction derby combined with classic racing to be the one that finishes the race, hopefully at the end of race. Also, with Dirt Track Racing you get three different types of vehicles. The fastest ones are the pro stock, but you start with stock. Later on, a special class of vehicles becomes available too, which are special racers, which can be upgraded much more, for speed, resilience or for maneuverability. All cars can be upgraded, to a point, but the first class, has a lot fewer upgradability options available. What is the lowest point of the game is the fact that the tracks are either straight ovals, or overlapping/figure 8 types of tracks. But then again, the fact that this game is built around the idea of lots of contact between the cars, makes it the kind of game you'll definitely love. So, overall, if you want a good dirt track racer, with stock and better cars this can be it. 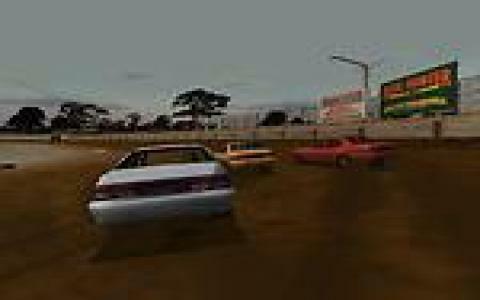 Else, download 1nsane, another great dirt track racer, with loads more diverse tracks.